Norman and I withdraw from town at a sprint. He's just assaulted the mayor, which may or may not be illegal and we don't want to find out the hard way. "Well," Norman pants as we get to the edge of town. Nobody seems to be chasing us. "I guess we won't be going back there anytime soon." "So is that it? We're out of people to help now?" I ask hopefully. "No, there's still one place left to try." 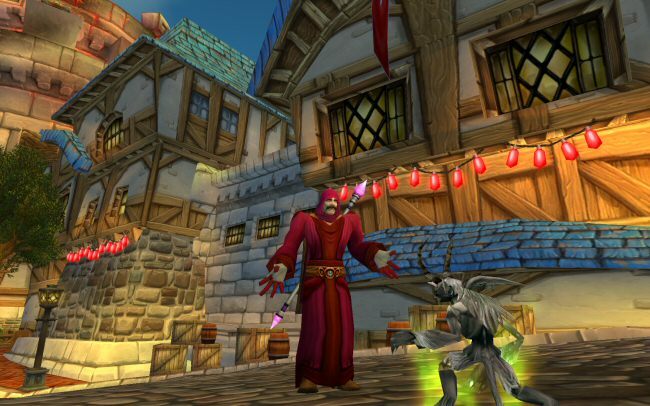 We head back to Stormwind where Norman does a little shopping. Not wanting to be recognized as the guy who assaulted the mayor of Redridge, he picks out a new outfit that will hopefully hide his face. "How do I look?" he asks me. "Truly, you are the belle of the ball. So where are we headed?" 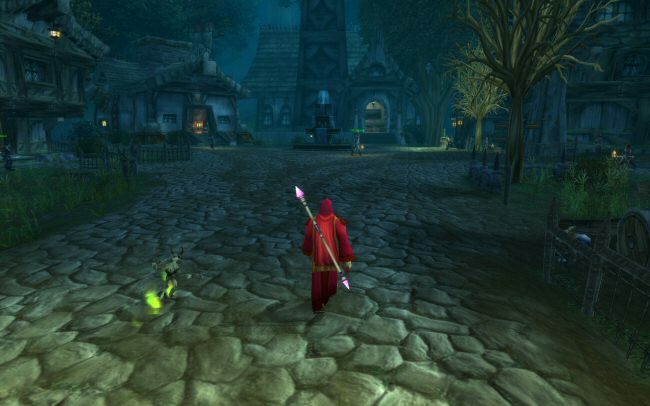 "We're headed to the last place left in the kingdom of Stormwind. The last bastion of human power in the Eastern Kingdoms. The last place anyone would go to look for someone suspected of assaulting the testicles of the mayor," Norman says firmly. 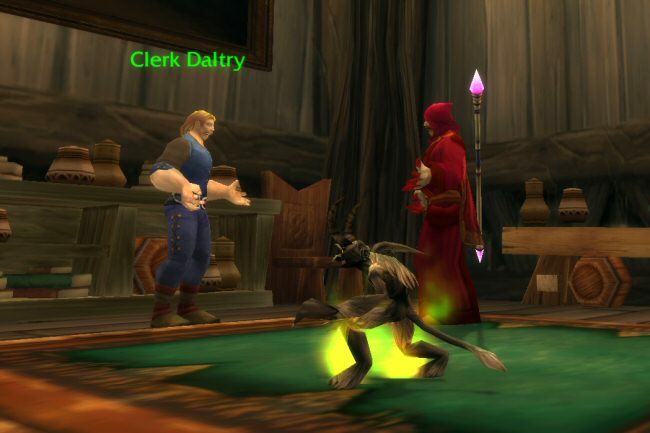 "We're going to Darkshire." The following quest and NPC dialog is lifted right from the game. All I added was Norman's response. Norman looks around town for work. Most people don't seem interested in talking to him. Considering how things have gone in the past, he avoids the city leaders and members of the watch. 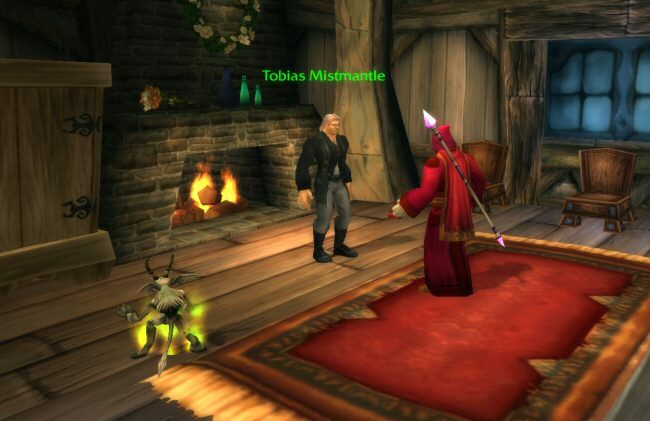 We finally track down a fellow named Tobias Mistmantle, who needs help locating his brother. He pleads with us, "I'm here because I received a letter from my brother Stalvan, who I haven't seen in years. On arriving here, I was told he was dead. The entire town refuses to offer any further explanation. Any mention of his name is met with terror and suspicion. As if I didn't have enough of that myself! " 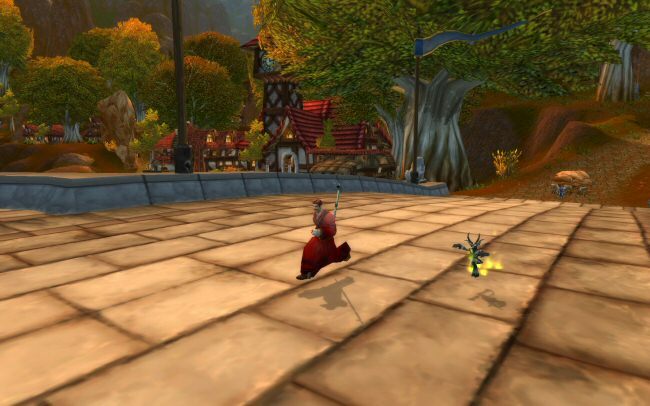 So we head to the Darkshire Town Hall, which is easy to find. We just head into the town square and look for the fanciest, most well-kept dilapidated shanty. Inside we find Clerk Daltry, and Norman asks about the missing man.